Yes officer, I did see the “speed limit” sign, I just didn’t see you. Last week, my boyfriend and I went to test drive the new AWD Tesla Model S. We got on the freeway, and the car’s acceleration was amazing. My boyfriend easily reached 104 MPH after just a few seconds while I was in the back seat, enjoying the speed and assuming the car was going about 60-70 MPH. 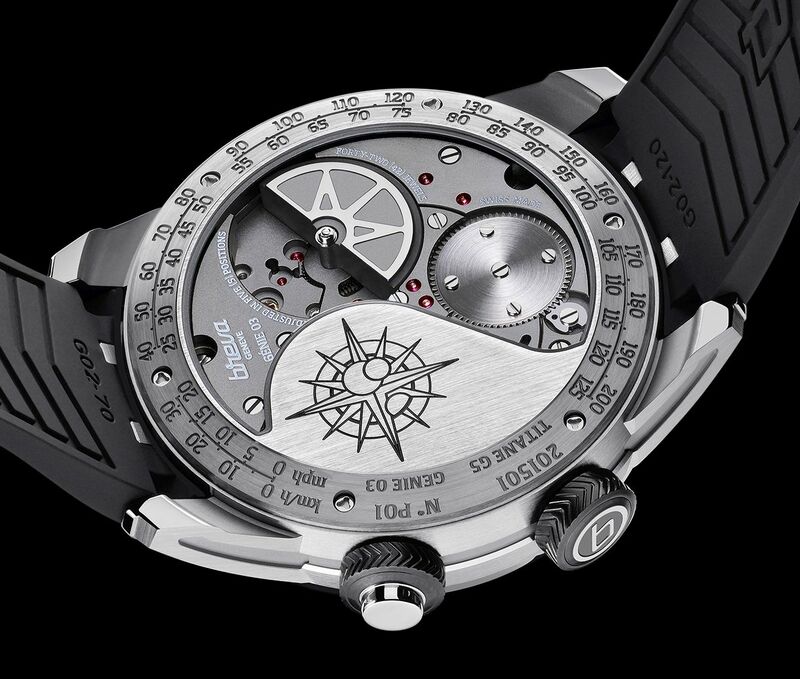 Génie 03 is the world’s first-ever wristwatch with a functional speedometer. Yep, you read that right, a speedometer that calculates your speed using an engraved scale marked in miles or kilometers per hour. With smartwatches become more popular day by day, it’s important for watchmakers to come up with traditional mechanical watches which are also equipped with special features. 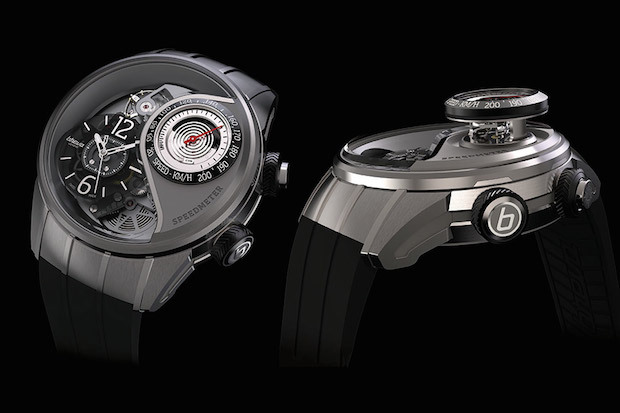 One of these unique features can be a pop-up speedometer, just like what Génie 03 offers. This ultimate watch is fitted with a patented “instant speed” scientific measurement mechanism, with a proprietary extrusion mechanism that creates a signature look. When extended to indicate the speed, it pops out a proud 6mm above the watch itself. 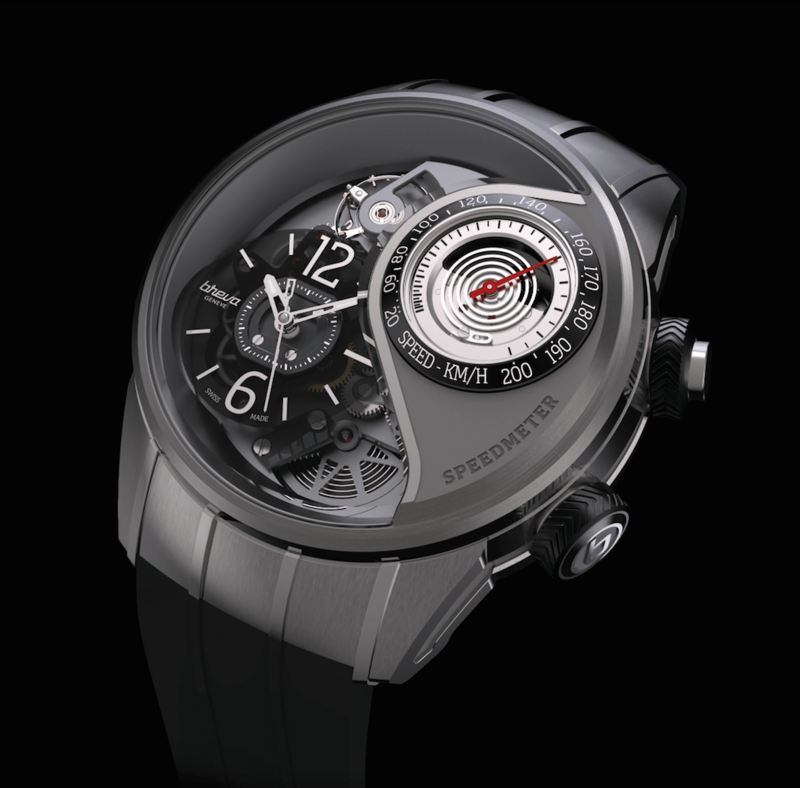 Designed based on the Titanium G5 extrusion mechanism, which comprises of 45 components, the Génie 03 features special alloy Robinson cups in the manner of an anemometer. The classic device for measuring wind speed has been adapted in Génie 03 to display speeds of 10 to 125 MPH. It’s water resistant to 100 feet at all times, with speedometer open or closed, and dust resistant even with the speedometer active.